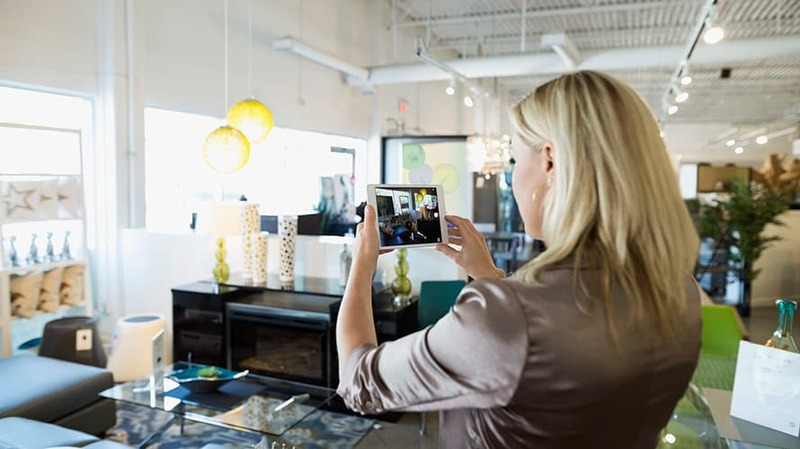 Augmented reality offers tangible value to consumers in a way that virtual reality falls short. Augmented reality is quickly becoming the darling of the media industry. Unlike the dash for virtual reality over the last five years, AR has crept up through popular games and social platforms to become a transformative tool for media. What makes it so transformative and appealing to consumers? For one, while VR is largely a solo experience (at the moment, anyway). AR allows for a shareable digital experience rather than being isolated in a headset. AR is more natural for consumers in their current UX habits, being used to glance or being absorbed into their device, playing with their handset and getting a digital response from touch and gestures. AR allows consumers to invite their friends to experience something with them rather than passing a VR headset around to experience something alone. It is the layering and playful manipulation of real-world assets that have audiences engaged and eager for more. AR offers personalization and creativity for users, allowing people to tinker with their selfies, voice and even merge the digital world with their physical one. With Snapchat, Google and Facebook using the technology, brands now have ease of access and endless opportunity, so the potential for the format to thrive is very promising. While there is an obvious interest in AR from an entertainment standpoint, the true opportunity of AR is in its ability to provide real, practical value to people. At Google I/O, Google Maps announced it will incorporate an AR layer of arrows and characters into its software, providing those of us who are directionally-challenged an easier way to step into the map. This functional use of AR will get consumers comfortable with the format practically overnight, removing any issues advertisers might have in educating consumers because they’ll already be using it within their own lives. Developers are also building out purpose-built experiences using platforms such as Google’s ARCore 1.0, which launched in February. With its compatibility across the Android network, developers know that their work in AR can be scaled and experienced by many. As with the application of any new technology, brands must consider the value they are delivering to their audiences with their new creations. How can you get an audience to care about what your brand is making? How can you make them come back and use it again? Brands should analyze audience insights and how consumers are interacting with their current campaigns, and based on those findings, strive to put consumers’ needs at the heart of their AR creations. The success of a brand utilizing AR will ultimately be based on their ability to use data that evokes meaningful creativity and tells stories, truly prioritizing consumers’ needs and confronting the current frictions that stand in the way of a customer getting information or a product. If done right, eventually the world will feel more personalized based on our needs and preferences. The art on the wall that I see will be different to the art preferences of my friend. The ads I see on the subway will be different from anyone else. The true opportunity of AR is in its ability to provide real, practical value to people. It won’t just be content that will evolve, but in the longer-term future, device form factors will change. As many Black Mirror fans can imagine, these new consumer data expectations will see information updates from personal AI, via in-eye feed through smart contact lenses. Unlike the early prototypes of Google Glass, it will feel natural, immersive and unobtrusive. The physical world will feel much more interactive due to the AR layer of information, transactions will be more seamless and technology will make things feel frictionless. Mitigating that friction and providing utility for consumers will ultimately create better brand loyalty versus entertainment one-offs. The utility of a service, anchored in a brand’s product purpose is likely to connect better with audiences and drive repeat usage. Entertainment is a good way of driving awareness over a short period of time, however it can run the risk of being a hot commodity one day and over the next. If announcement reach is needed over a short space of time, entertaining options can be a good plan. But know the fight for attention is likely to be more difficult, therefore the execution will need to deliver wow factor. Innovation is exciting, but it shouldn’t be prioritized over brand purpose. Ideally, everything a brand does should be anchored in the human truth of why people are interested in a product or what a brand stands for. The value and excitement that AR delivers is due to the combination of digital information and our real world: how it adds to our lives and also the way it prevents us from feeling dominated and disorientated by technology, as we’ve seen with VR. AR has the ability to blend all that is good about your real-life and digital experiences, and because of this, it will continue to scale. The power of technology combined with the connectivity of human interaction will act as the gateway into both the digital and physical worlds, and hopefully, adding to our human experience rather than dominating it. 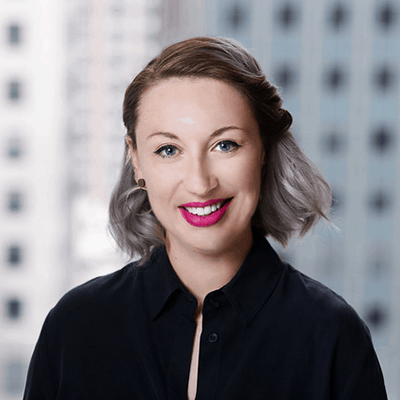 Sarah Stringer is the svp, head of innovation at Carat U.S.